Stephen Cook was born in Buffalo, New York. He received his B.Sc. degree from the University of Michigan in 1961 and his SM and PhD degrees from Harvard University in 1962 and 1966 respectively. From 1966 to 1970 he was an Assistant Professor at the University of California, Berkeley. He joined the University of Toronto in 1970 as an Associate Professor and was promoted to a Professor in 1975. Dr. Cook's principal research area is computational complexity, with excursions into programming language semantics, parallel computation and especially the interaction between logic and complexity theory. He has authored over 50 research papers, including his famous 1971 paper, "The Complexity of Theorem Proving Procedures", which introduced the theory of NP completeness. 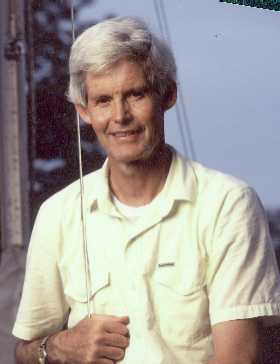 Dr. Cook was the 1982 recipient of the Turing award, a Killam Research Fellowship in 1982, and a Steacie Fellowship in 1977. He received computer science teaching awards in 1989 and 1995. He is a fellow of the Royal Society of Canada and was elected to membership in the National Academy of Sciences (U.S.) and the American Academy of Arts and Sciences. Stephen J. Bellantoni, Scotia Capital Inc.
"Superlinear time-space tradeoff lower bounds for randomized computation"
"Diagonalizing NC along the delta axis"
"Ordinal Notations and Well-Orderings in Bounded Arithmetic"
"Theorem proving for software analysis"
"Which Problems have Strongly Exponential Complexity?" "An Induction Principle for Computational Indistinguishability"
"Tautologies from pseudo-random generators, AC^0 cardinality, and other bounded arithmetic"
"A New Proof of the Weak Pigeonhole Principle"
"A High Level Summary of Approaches for the P Versus NP Question"
"Time-space tradeoffs for SAT on non-uniform machines"
"Pseudorandom Generators in Propositional Proof Complexity"
"A Computational Approach Toward Realistic Quantum Logic"